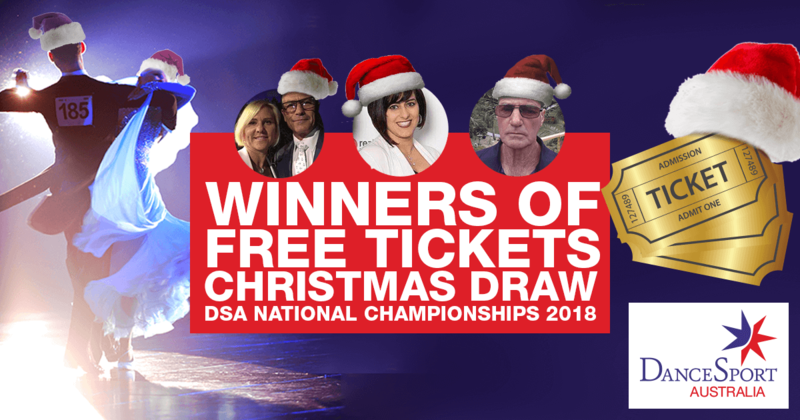 We are delighted to announce the winners of our DSA National Championship 2018 Free Tickets Christmas Draw, entry for which was achieved by simply adding your name to the mailing list on our website. The draw was only open for 10 days, and attracted more than 300 people whose names were then entered into the draw. These three lucky people will be attending, free of charge, the DSA National Championship – the DSA’s glamorous and prestigious event. This was the first time such a promotion had been created and run for the DSA National Championship, and is just one example of DSA's innovative thinking. DSA Marketing Commission Chairman, Geoff Vine, said, "This is a great example of the power of social media and our great marketing team. With 300 early bird registrations already in and plans well under way, the June 2018 DSA National Championship in Wollongong is going to be the best yet!"